2018 was one of the wildest rides of my life. From traveling through Southeast Asia, to moving to Bali, to road-tripping through Morocco, to exploring the most beautiful parts of Myanmar, I’ve made memories so vivid and cherished that no amount of time will ever be able steal them from me. Although I found something to love about every destination I visited, these were my top 6 favorite places I visited this year, and my top recommendations for your 2019 travel bucket list. If you know me, it won’t be much of a surprise that some of my favorite destinations of 2018 were a bit off the beaten track. But that’s exactly what makes them so wonderful: each destination in this list will be filled with surprises, whether it’s landscapes and terrain you’ve never seen before, culture you knew nothing about, island paradises that you’d never have thought to visit, or once-in-a-lifetime experiences that you won’t forget. These spots are underrated, not because they’re unknown to tourists, but because they’re generally not considered destinations in themselves and are often overshadowed by more neighboring cities and towns. But each of these spots is worth a visit on its own. They’re all a bit away from the tourist crowds (especially if you visit outside of peak seasons), and safe and welcoming. Be sure to add one — or all! — of these amazing destinations to your 2019 travel plans! This tiny village near the Algerian border in Morocco’s vast Sahara Desert was one of the most stunning places I’ve ever visited. Morocco’s major imperial cities like Marrakech and Fes draw millions of tourists annually, but because of the distance and less publicity, only a few take the time to head out to the desert while in the country. But don’t make that mistake and miss out on this spectacular destination. The landscape of golden sand dunes stretching for hundreds of miles in every direction, the fiery sunrises and sunsets, the stark white and rich blues of the traditional Berber clothing standing against a sweeping orange backdrop, the billions of glittering stars that shone in the midnight sky — every inch of this place was breathtaking. And apart from how visually appealing this desert was, what made this destination so memorable was the rich cultural experiences that you won’t be able to find anywhere else in the world. You’ll have the opportunity to sit around a drum circle and dance to traditional Berber music, learn about local culture over tea with a desert nomad, explore the sand dunes by camel or ATV, eat mouthwatering Moroccan cuisine under the stars, or stay in a luxury desert camp decorated in handmade artisanal handicrafts. Whether it’s the activities, the culture, the landscapes, and the peace and serenity that awaits you here, the Sahara Desert really has something for every traveler. Don’t let another year pass by without going to see it for yourself. Where To Stay: For accommodations, I stayed at Auberge Takojt (a beautiful mud-walled inn situated right in the sand dunes) and Sahara Stars Camp (a luxury tented desert camp). When To Visit: For the best weather, visit Morocco during spring (mid-March to May) or fall (September to October). During winter, it can be a bit too cold to stay in the desert. I visiting from mid- to late August, which meant fewer tourists — a huge win in my book. It was hot during the day but not unbearable, and the evenings in the desert were still quite chilly. More Information: For more information on Morocco’s Sahara Desert, read this post. For a complete guide to Morocco, check out this post. My trip to Vietnam was as last-minute as it gets — the result of being denied entry to China and needing to scramble for a backup plan. Turns out, Vietnam is one of my favorite countries I’ve ever visited, so, I’ll keep that in the memory bank of happy accidents. But as much as popular as Hanoi, Halong Bay, and other major Vietnam destination are, perhaps my favorite spot in the country was the little secluded town of Sapa. Sapa is tucked in the Hoàng Liên Son Mountains of Northwestern Vietnam, overlooking the Muong Hoa Valley’s misty, rolling green rice terraces. The town is charming and quaint, with flower-filled, landscaped public gardens, cute cafes serving baked goods and delicious Vietnamese coffees, windy streets lined with colorful little buildings, handicraft shops selling locally made indigo-died garments and leather goods, and tons of spots for cheap and tasty meals. It’s the perfect place for a peaceful little escape from Vietnam’s bustling cities and chaotic traffic, without finding yourself bored or alone. And not only is the town itself a beautiful place to visit, but you’ll also have access to one of the most popular trekking areas in Vietnam. My day trek through the Hill tribes nearby was a highlight of my entire Vietnam trip, and I can’t recommend it enough. The views are unbeatable, as you walk through misty bamboo forests, and along endless terraced rice fields dotted with the occasional farmer or grey buffalo. And, you’ll have the opportunity to visit the smaller tribal villages along the way, learning from your trekking guide about cultural practices, clothing, family life, and farming techniques. Where To Stay: I stayed at Sapa Panorama Hotel which has beautiful balcony views of the town and hills below, and an expansive breakfast buffet. When To Visit: Avoid visiting Sapa during rainy season, from June to September, when slippery roads can make the drive into the mountains rather unsafe. From December to February, Sapa can get very cold; but during the warmer dry season months from March to May, the weather is perfect for a trek — warm during the day and chilly and misty at night and in the mornings. I visited in mid-March and experienced great weather, although the rice terraces weren’t at their greenest. More Information: To access Sapa, I recommend taking the overnight train from Hanoi, which is a pretty awesome — albeit rustic — way to travel. It’s also cheap and won’t require you to lose a day to driving. From the train station, Sapa is a scenic hour and a half drive into the mountains. You could spend a month touring the Philippines and not scratch the surface. Most tourists will spend some time visiting the beaches, waterfalls, and seas around Cebu, Coron, Borocay, and Puerto Princessa. But, my absolute favorite spot in the Philippines was a small town called El Nido, located in the north part of Palawan Island. 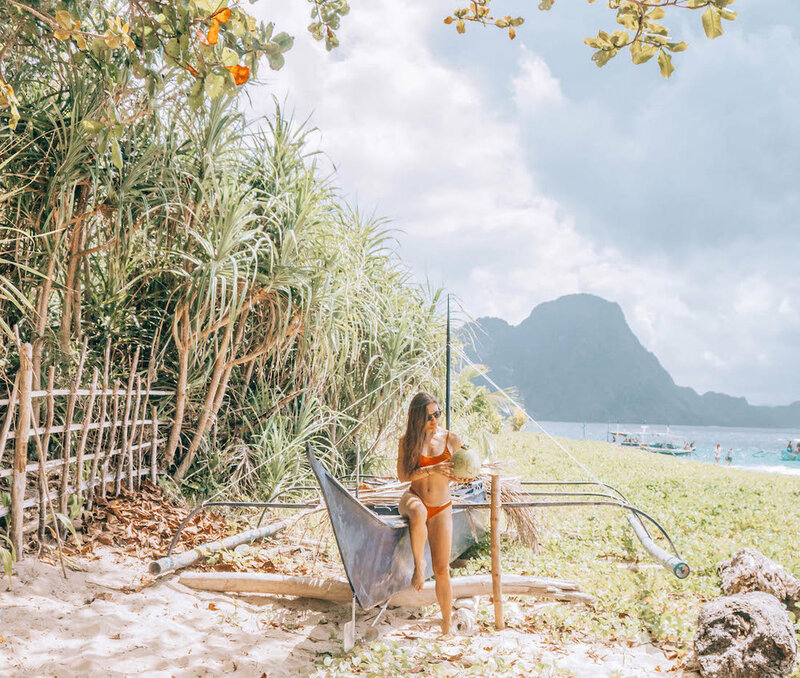 El Nido’s tourism industry has actually grown dramatically in the past year, prompting the government to take proactive measures to limit the number and impact of tourists on the area. So why do I consider it underrated? First, it’s still less visited than other parts of the Philippines, and is still dotted with tiny food shacks and small inns and hotels rather than large corporate hotel chains. Plus, there are so many spots to see that are well off the beaten tourist track, so long as you take a private boat rather than an organized group tour. It’s also home to some fascinating archaeological sites, war history, and ancient tribal culture, which often gets overlooked. Of course, the main draw to El Nido is its stunning seascapes. You’ll be able to explore some of the most beautiful caves, turquoise lagoons, and hidden beaches in this iconic spot of ocean. Hundreds of lush green island mounds and jagged rocky towers pierce the surface of the water to create a scene that looks straight out of a sci-fi movie. And the views are no less beautiful underwater, with vibrant coral reefs, sea turtles, and tons of colorful fish for you to explore on a snorkeling or scuba diving adventure. Back on land you certainly won’t be bored, either. 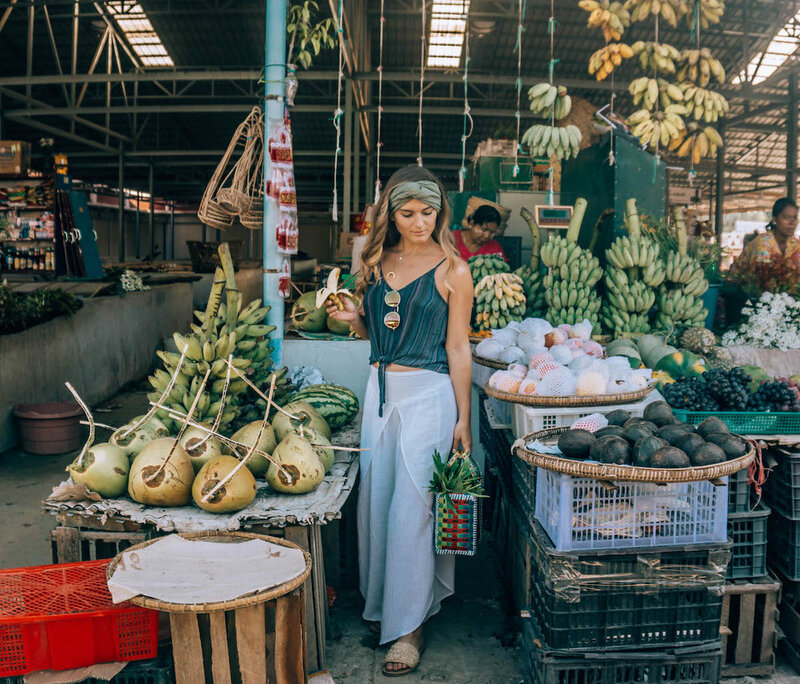 The town is filled with trendy shops, restaurants, and cafes, selling cute clothes and home decor goods, fresh foods and fancy coffees, homemade ice cream and bubble tea, and delicious island cocktails. And if you’re like me, you’ll want to grab some cut mango for a snack about five times a day — El Nido has the best mangos I’ve eaten anywhere in the world. Where To Stay: I recommend staying at The Nest, with beautiful rooms, delicious food, and an infinity pool that overlooks the beach with the most epic sunsets. When To Visit: Dry season is from December to May, and rainy season is from June to November. On the cusps of dry season, you’ll have much fewer tourists, as peak season can draw large crowds to this small island paradise. I visited at the end of March and it was quite hot but not too crowded, although booking a hotel the night in advance was a nightmare. You can also splurge a bit (not too bad when split between a few friends) to rent private boats that will take you to less-visited beaches and islands, away from the typical tourist route. More Information: To get to El Nido, you’ll first have to fly to Puerto Princessa, where you can either take a 5-6 hour drive via shared or private transport, or you can book a pricier (but, in my opinion, worth it, if your budget permits) 30-minute flight. Note that there is only one ATM in town, and it often breaks or runs out of money, and most places don’t accept credit card — be sure to bring plenty of cash for your stay. Of all the islands surrounding world-famous Bali, Lombok may be the most underrated tourist destination. This year it gained international attention not for its beautiful beaches, epic waterfalls, and luxurious but affordable hotels, but for a series of severe and destruction earthquakes that hit the northern part of the island. Sadly, despite only one small section of the island being affected by these earthquakes, negative and overstated news media kept most tourists far away, which created an even greater financial burden for those relying on income from the tourism industry. However, the vast majority of the island is still fully intact and eager for tourists, so it’s a great spot for travelers looking for a less touristy Indonesian island destination. And by spending your tourism dollars on locally-run hotels, restaurants, and businesses, you’ll actually be able to help an economy and people trying to recover. While in Lombok, you can hire a driver or rent a scooter to visit some of the many waterfalls situated in the center of the island. On the southwest corner of the island you’ll also find a pink beach, which will appear more or less pink depending on the weather but is nonetheless and beautiful spot. The town of Senggigi is where you’ll find a lot of resorts and cute restaurants serving delicious, fresh foods. For surfers, south Lombok is famous for its surfing spots, including Desert Point — one of the world’s best waves. 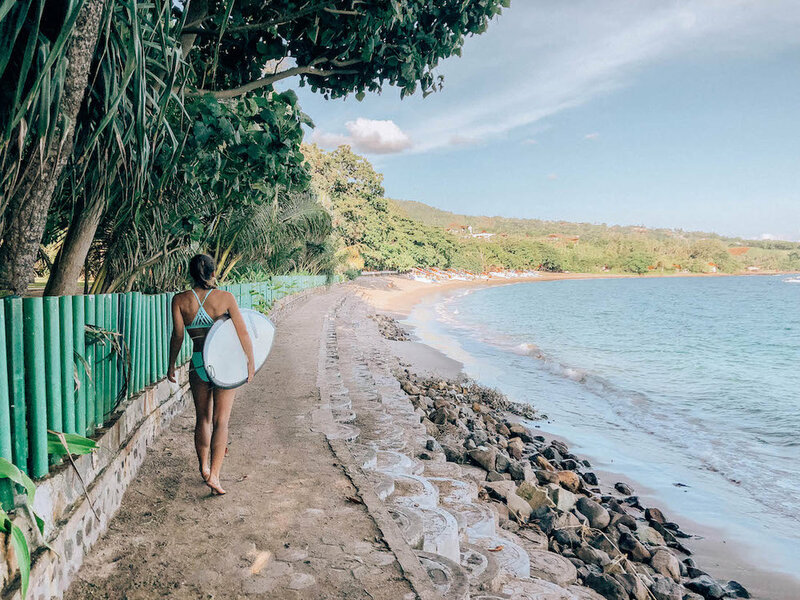 If you’re not as seasoned as the pros, there are tons of surfing schools that can take you to tamer beaches for one-on-one lessons. Although Mount Rinjani, the second highest volcano in Indonesia, is currently closed following the earthquakes, trekking enthusiasts will want to keep an eye out for the reopening of its rugged, multi-day hiking routes. Where To Stay: For spacious, palatial rooms fit for royalty, delicious and indulgent beachside breakfasts, home cooked dinners accompanied by local dancers (the hotel’s philanthropic owner sponsors underprivileged youth who want to learn dance), and an infinity pool with impressive sunset views onto Bali’s Mount Agung, stay at Puri Mas Boutique Resort. When To Visit: Lombok’s dry season is from May to September, but the island’s wet season (October to April) is not nearly as wet as neighboring Bali’s. Regardless, you’re not likely to run into tourist crowds at any time of the year, especially after the earthquakes caused tourism rates to plummet. The nicest weather will be in dry season, but I visited toward the end of March/early April and still enjoyed myself! But be warned, it is hot during wet months, especially if you spend any time on the neighboring Gili Islands where few places have air conditioning. More Information: You can either fly to Lombok via Lombok International Airport (many smaller Indonesian airlines make flights there from Bali multiple times a day), or take a boat from one of Bali’s eastern ports (Sarangan in the south, and Padang Bai a bit further north toward Ubud). The boat costs about 30 USD and will take 4-5 hours, but can be quite pleasant if you go toward the end of the day when it’s not so hot and you can catch a stunner sunset from the ocean. Flights cost about the same as the public ferry and take about 30 minutes, and it’s another hour drive from the airport to Senggigi. To be honest, both the flights and boats are pretty unreliable in terms of timeliness and cancellations, so don’t plan to travel to/from the island on the same day as a big international flight or other pressing plans. There is truly no place on the planet quite like Bagan, Myanmar. Over 10,000 temples were built in Bagan between the 9th and 13th century, when the Kingdom of Pagan ruled the region. This dynasty was responsible for establishing much of Myanmar culture and ethic identity as it exists today. Although thousands of the temples were destroyed by a series of massive earthquakes, you still find an iconic, hazy Bagan skyline pierced by about 2,200 cone-shaped pagodas. Sunrises and sunsets take on a whole new meaning in Bagan. Each day you’ll want to wake up well before dawn, drive your rented electric bike (“e-bike”) to one of the ancient temples in the area, and make the climb to its upstairs viewing terrace for a spectacular light show as the sun makes its grand entrance and exit for the day. Keep in mind that many of the temples are closed to visitors now due to government restoration efforts; for tips on how to plan you temple-hopping excursions and how to find climbable temples in Bagan, check out my e-book. In addition to Bagan’s main activity — temple-hopping by e-bike — there is plenty else to keep you busy while there. Cooking classes, people-watching at local markets, day trips to nearby monastaries, visits to local lacquer-wear workshops, and nighttime puppet shows are just some activities that’ll give you a glimpse into Bagan’s rich culture. You’ll also find some incredible restaurants in the area, so don’t neglect the food scene! Where To Stay: I recommend staying at Areindmar Hotel in Old Bagan, with beautifully decorated and spacious rooms, a pretty pool for those lazy afternoons, and a tasty breakfast. When To Visit: The best weather is from November to February, and summer months can be extremely hot. I visited mid-October and the nights and early morning were chilly, while midday was very hot. Although tourism rates are very low in Myanmar right now because of current border violence, you’ll still probably find yourself fighting for a spot on one of the few open temples each sunrise/sunset during busier months, so the cusp months might be better. Note that hot air balloon season doesn’t start until the end of October. More Information: For all my Bagan recommendations, including restaurants, details on activities, and more, get yourself a downloadable copy of my Guide to Myanmar e-book! If you’re curious about my thoughts on the ethics of traveling to Myanmar in the midst of its ongoing ethnic violence, read this article. Although I was born and raised in Arizona in the American southwest desert, I never explored much of the area and certainly never appreciated how its diverse beauty. At least until this year, when I finally set out to visit some of the most famous desert sites in Northern Arizona and Southeastern California. I walked through the golden waves of Antelope Canyon, watched the sunrise at Horseshoe Bend, stood on the edge of Devil’s Bridge in Sedona, and more. But my favorite stop was Joshua Tree, California, where I spent a few days camping in a tipi and enjoying the zen vibes of this charming hippie town. The desert is picturesque, as are the iconic Joshua Trees dotting the mountains as far as the eyes can see. These trees (which are actually cacti) grow out of the desert rocks under scorching heat, have roots stretching up to 30 feet deep to find the tiniest bits of water, can survive over 500 years (the oldest one was estimated to be about 1000 years old! ), and were aptly named for their resemblance to Biblical Joshua reaching to the sky in prayer. Of course, the main thing to do in Joshua Tree is to explore the famous national park, where you can boulder or rock climb, go on hikes or trail walks, or drive through the windy roads until you feel like pulling over to soak in a view. However you’ll also find bars with live music in the evenings, cute antique shops and charming streets that will make you feel like you’re on a Country Western movie set, and little museums showcasing local history and artists, as well as the areas Native American roots. While there, don’t miss the opportunity to go “glamping” in a tipi. Many are decorated in authentic Southwestern decor, with fireplaces, kitchenettes, and access to proper showers and running water nearby. It’s impossibly cozy to fall asleep to a roaring fire and the sound of coyotes howling outside, with unbeatable views of the starry skies right outside your canvas walls. Where To Stay: I love my tipi glamping experience at Camp Temenos located in Pioneertown and highly recommend staying there! For $40 off your booking at Camp Temenos, use this link to create an account with Airbnb. When To Visit: In spring (March and April) temperatures are mild and wildflowers are in bloom, whereas in fall (October and November) you’ll get those epic desert golden hours. Avoid summer at all costs, because it’s painfully hot, dangerous to be making road trips through the desert, and very unpleasant if you want to spend any time outdoors (including hiking or sleeping in a tipi). Despite what you may think about the desert, winter nights can get very cold. However, I visited in the beginning of January and found great weather — hot sunny days and chilly nights, which were perfect spent curling around out tipi’s fireplace. More Information: There’s no public transportation that will allow you to explore Joshua Tree. I recommend renting a car with 4-wheel drive and excellent air conditioning, and making a Southwest desert road trip out of it! You’ll also be near Salvation Mountain, the Salton Sea, and not too far from Antelope Canyon and Horseshoe Bend in Northern Arizona to the east, and sunny San Diego, California to the west. With a new year fast approaching, I hope among all your personal resolutions and career goals and gym memberships, you’ll not forget to add in some time for adventure in 2019. And as your planning your upcoming trips, keep these destinations in mind — not only were they my favorite destinations of 2018, but they made up some of my most cherished memories ever. Whether you’re a fan of picturesque scenery, fascinating cultural experiences, outdoor adventure, or delicious food, I’m confident that these spots won’t disappoint you. Be sure to add at least one of these top underrated destinations to your 2019 travel plans! Happy planning, and see you in the new year! Are any of these destinations on your 2019 bucket list? Any other favorite destinations to add to the list? Let me know in the comments below!